Founded in 2018, Pan-handlers is proud to offer a second ensemble…Pan-handlers’ Tin Cups! 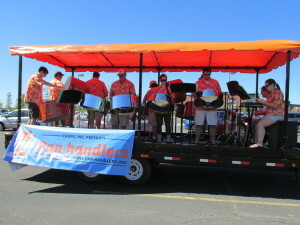 The Tin Cups steel drum ensemble will perform in area parades and events during the summer months, offering learning and performance opportunities for novice pan players or players with limited schedule availability. 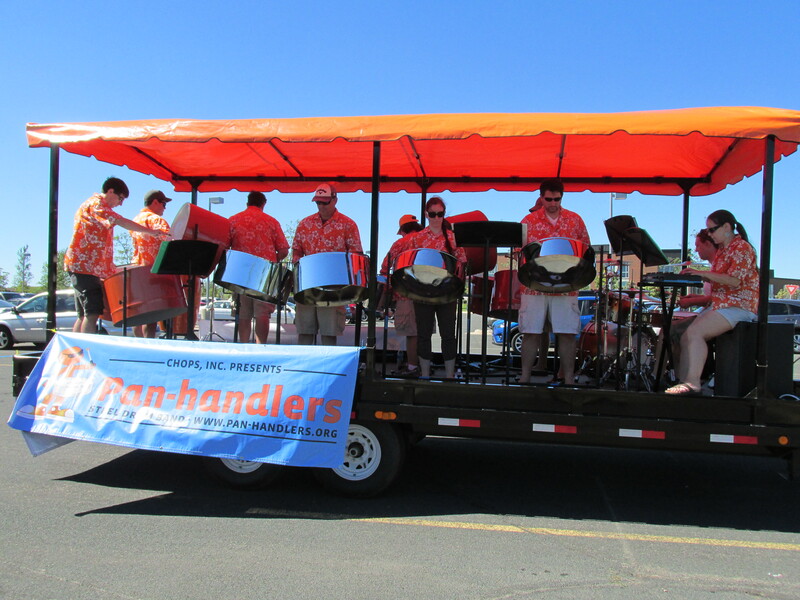 At least once during the summer, Tin Cups will perform with Pan-handlers in a concert setting creating a steel drum band of over 30 musicians! No experience is necessary, but a willingness to practice and learn is mandatory! Check the calendar and come to rehearsal. Play and learn pan with no stress. If you enjoy it and want to continue for the summer, join Tin Cups and take a pan home to practice. It’s just that simple…and IT’S FREE! Consider joining Tin Cups this summer! Simply fill out the membership info form for more information. Availability is limited (we only have so many instruments, after all) so act fast!